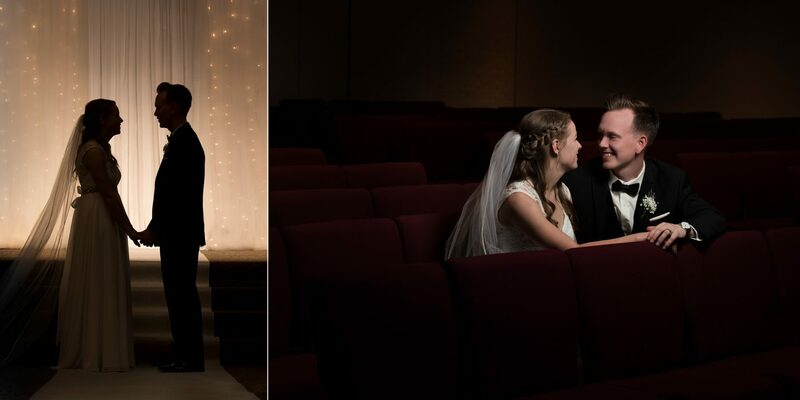 A couple of weeks ago we had the pleasure of photographing newlyweds Byron and Justine, as they married at the University Drive Alliance Church here in Lethbridge. 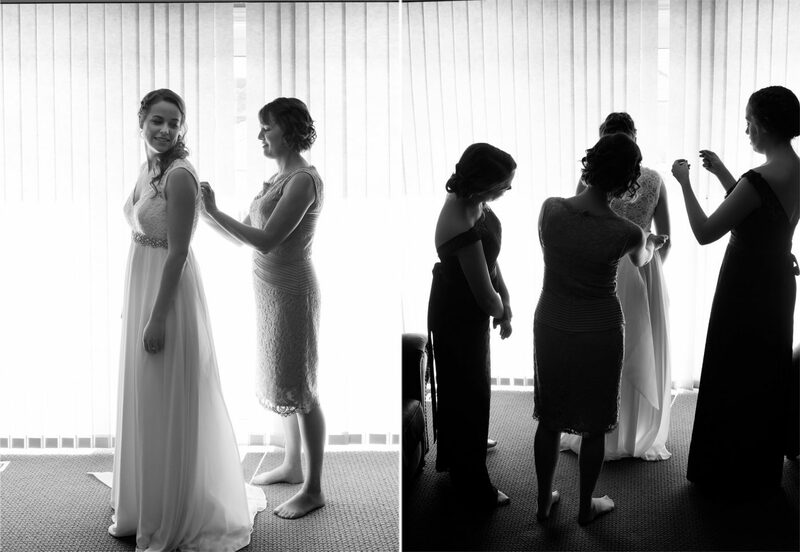 We are always glad when couples choose to have pictures taken of them getting ready, as these moments spent with close family and friends are some of the most special ones of the day. 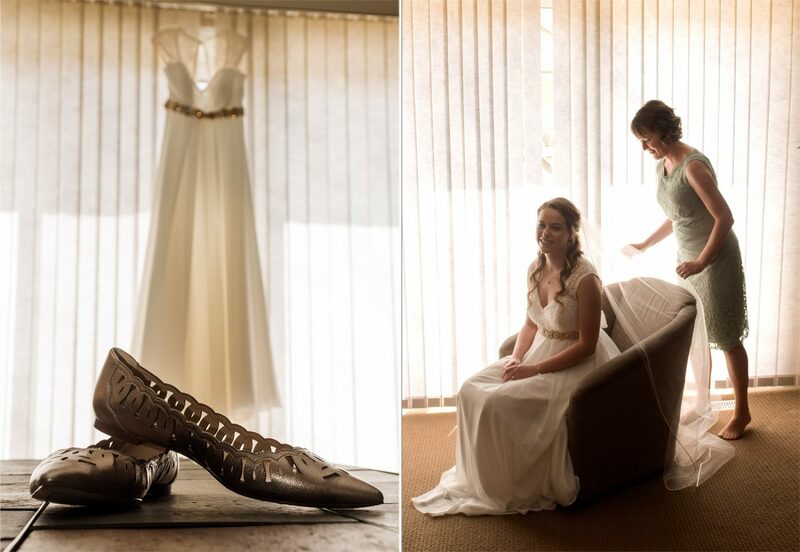 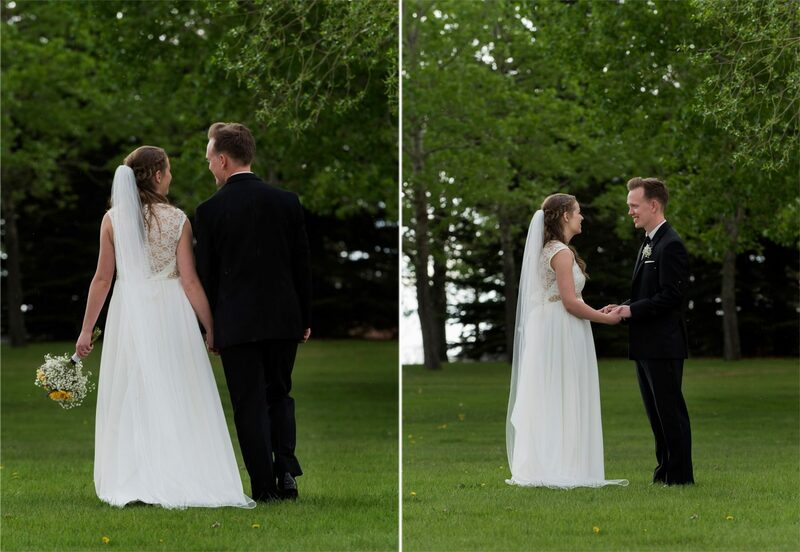 Justine looked radiant in her delicate lace dress from Once Upon a Bride. 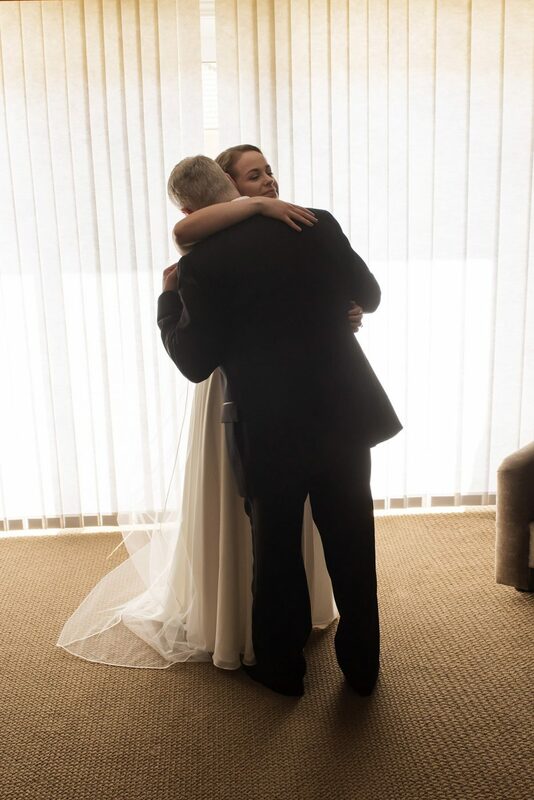 Justine chose to have a first look photo with her father before heading to the ceremony. 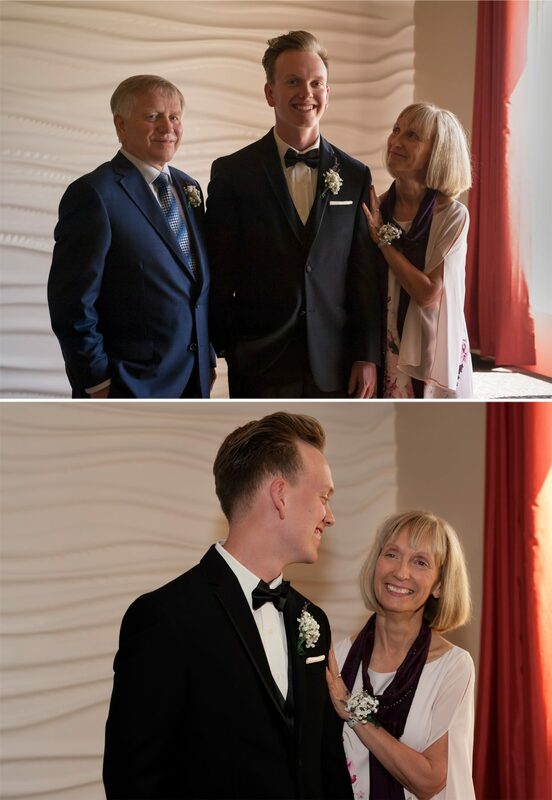 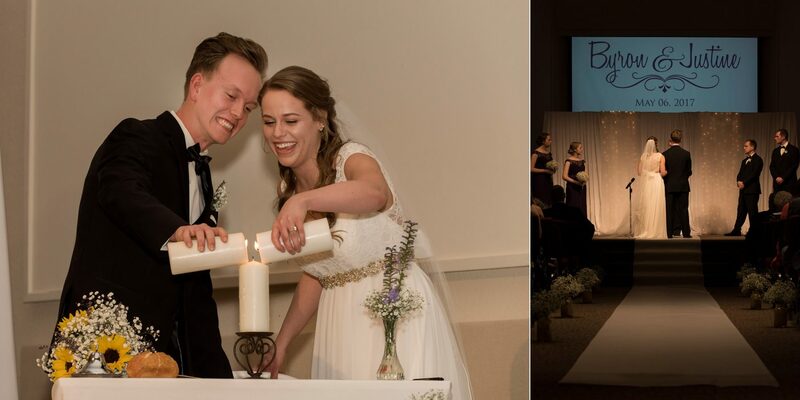 Pictures like this are great for slowing down and taking the time to be present and connect with family before the rush of the wedding day. 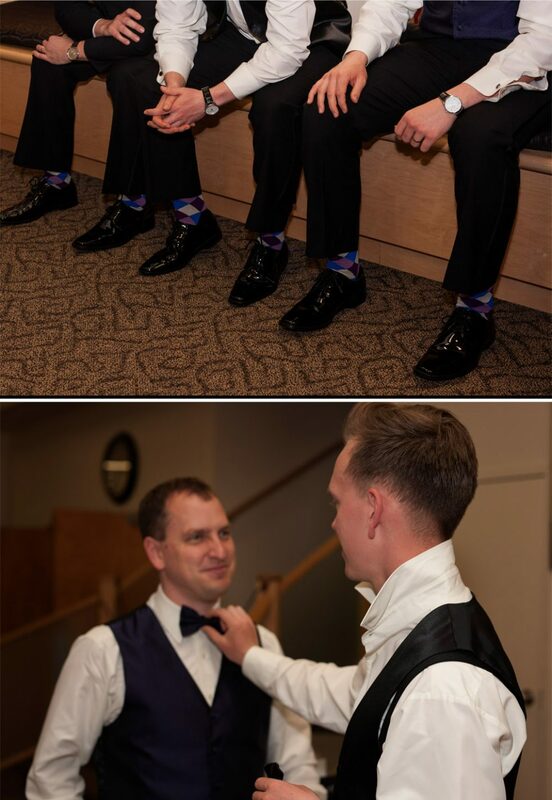 Matching socks are a fun way to coordinate groomsmen, and we love that they considered the details. 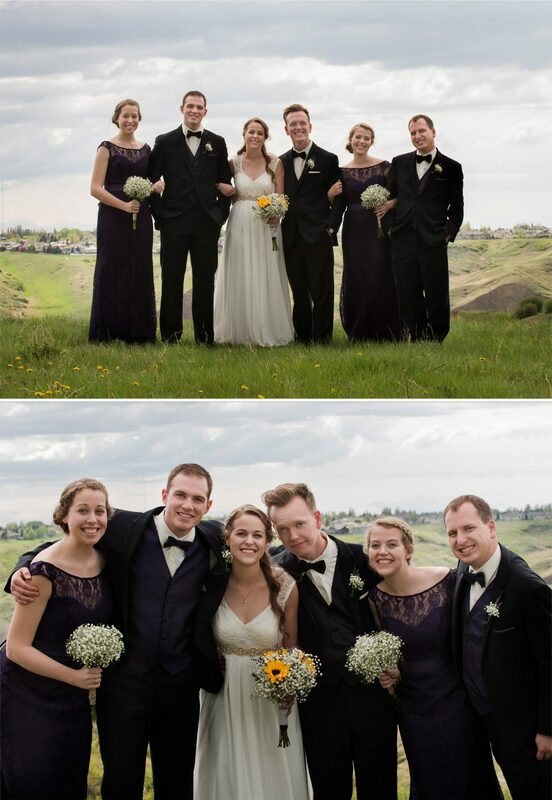 The guys looked great in their suits from Moores, and the purple socks perfectly matched with their vests! 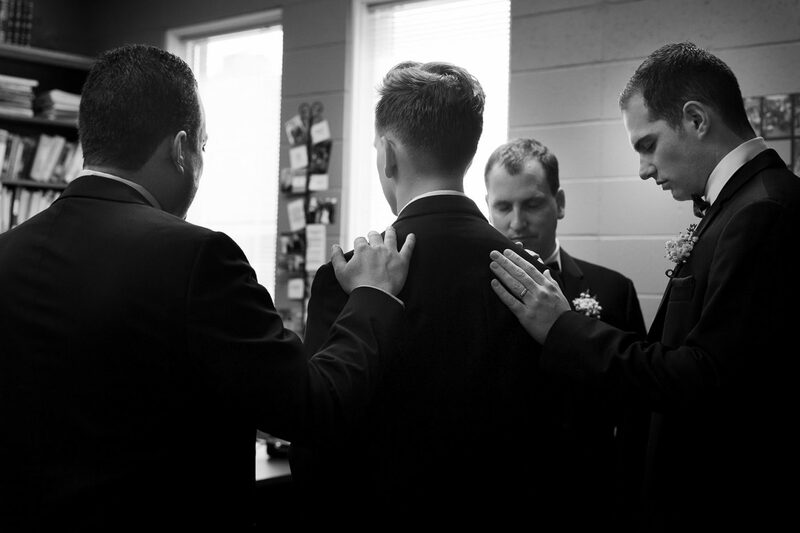 After the ceremony, we were able to sneak away from family and friends to take a few intimate shots near the altar. 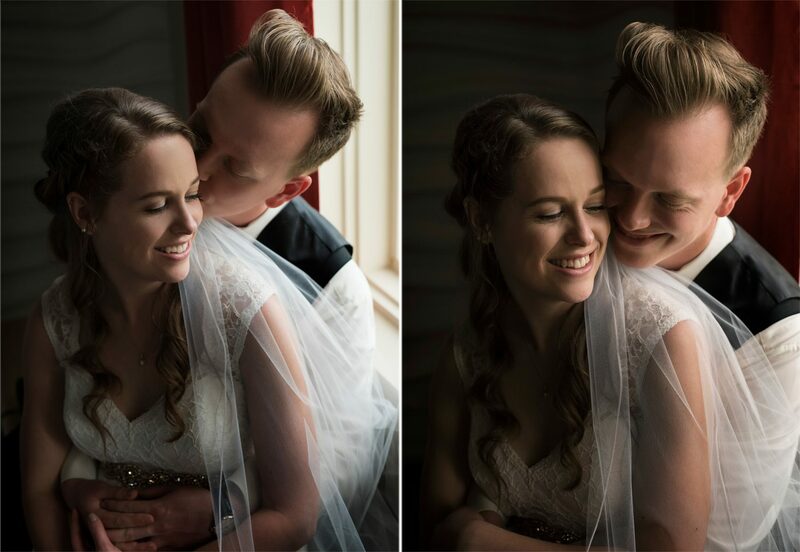 Byron and Justine had some quiet time to themselves to let everything sink in and to reflect on the moment, while we took full advantage of the romantic lighting! 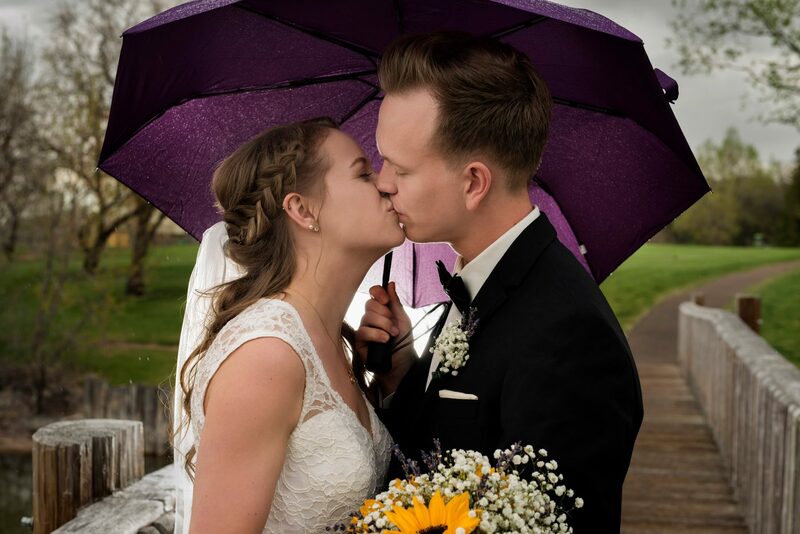 Spring weddings always have us guessing what kind of weather to prepare for – wind, bright sun, rain… We spent the afternoon jumping in and out of vehicles between the downpours, and Byron and Justine were quick to get into position so that we could capture some fantastic pictures! 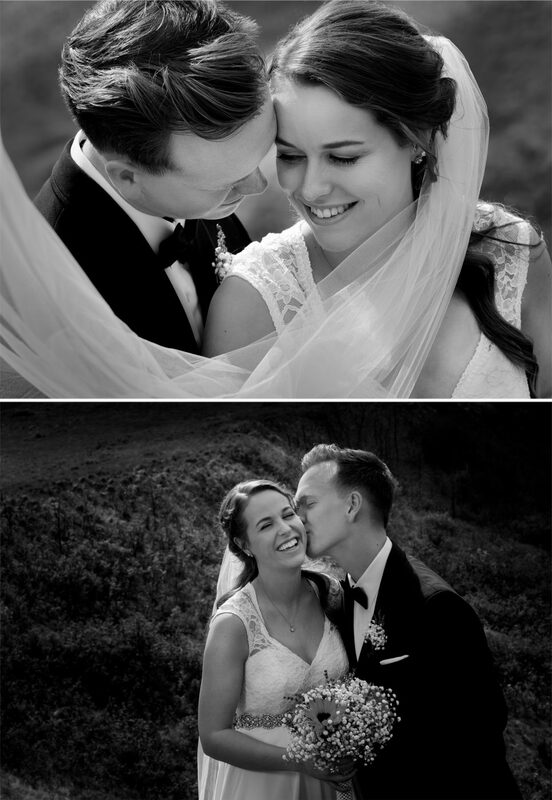 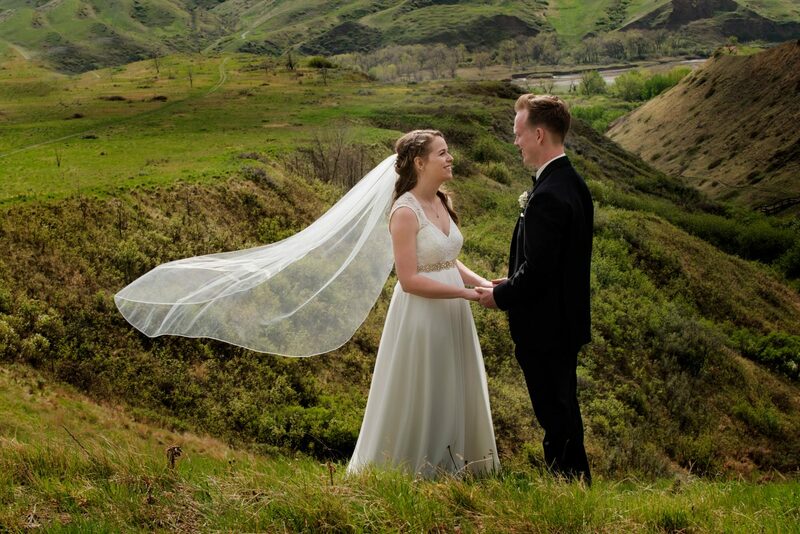 Justine’s gorgeous veil was long enough to wrap around herself and Byron, and with a little help from our friend the “wind”, we got some stunning shots of our couple on the lush green springtime coulees! 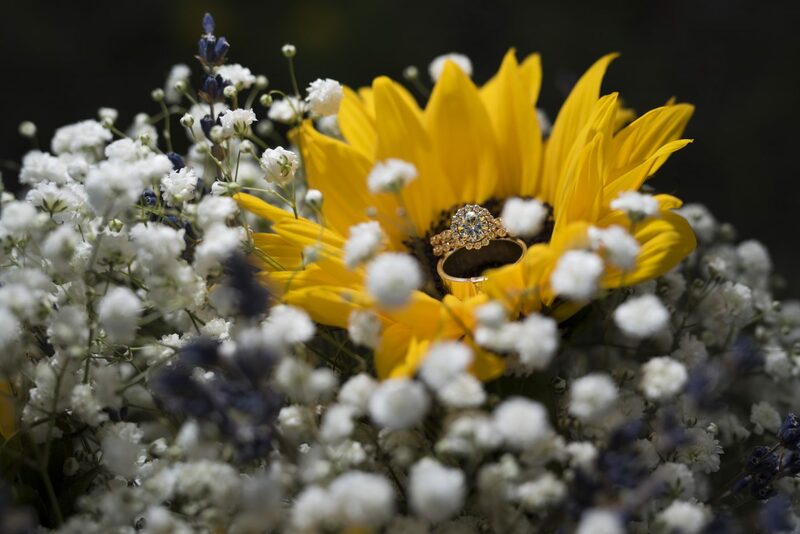 Justine’s beautiful bouquet was from local Lethbridge business Flowers on 9th, and it was the perfect background for the couple’s wedding rings, which were from Goldworks. 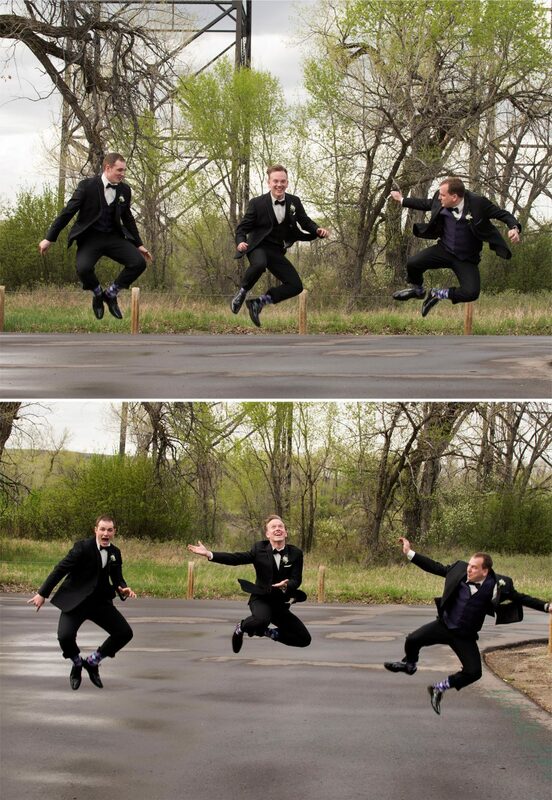 Byron and his groomsmen only had one request: that we capture them jumping and clicking their heels together in celebration. 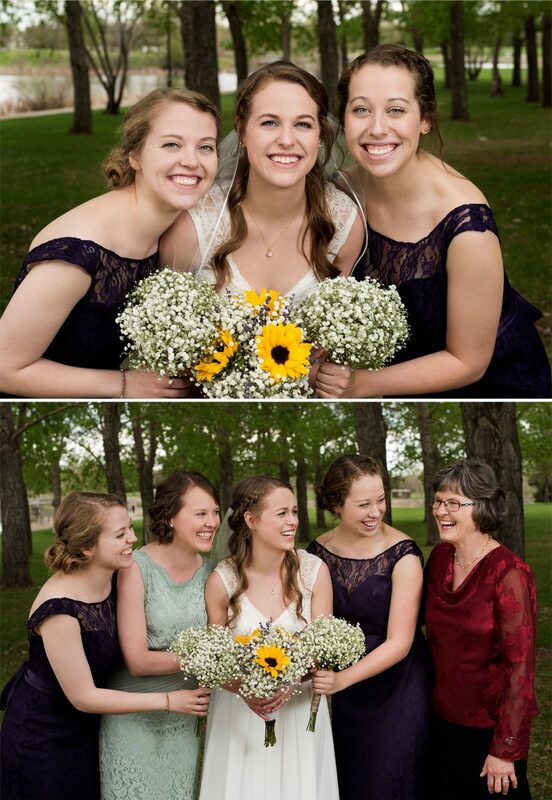 We had a fun time laughing at all of their attempts before we finally got the shot! 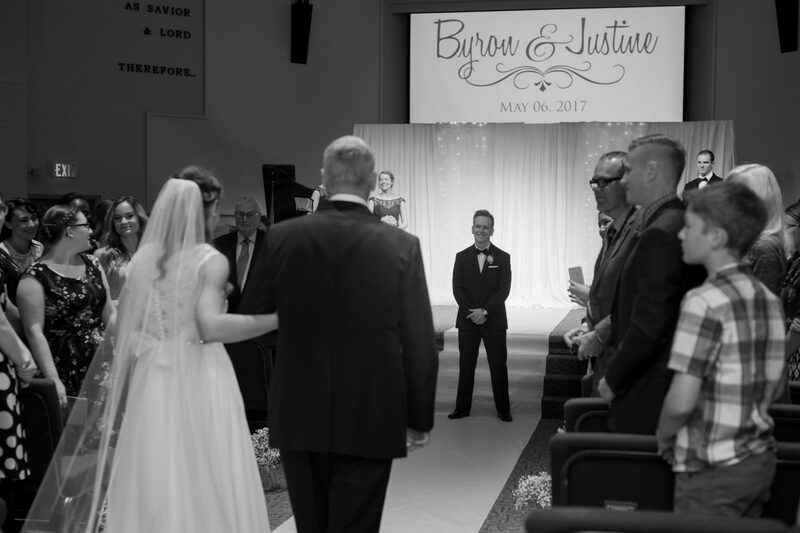 Congratulations to the newlyweds, they had a truly memorable wedding day and we loved getting to be a part of it. 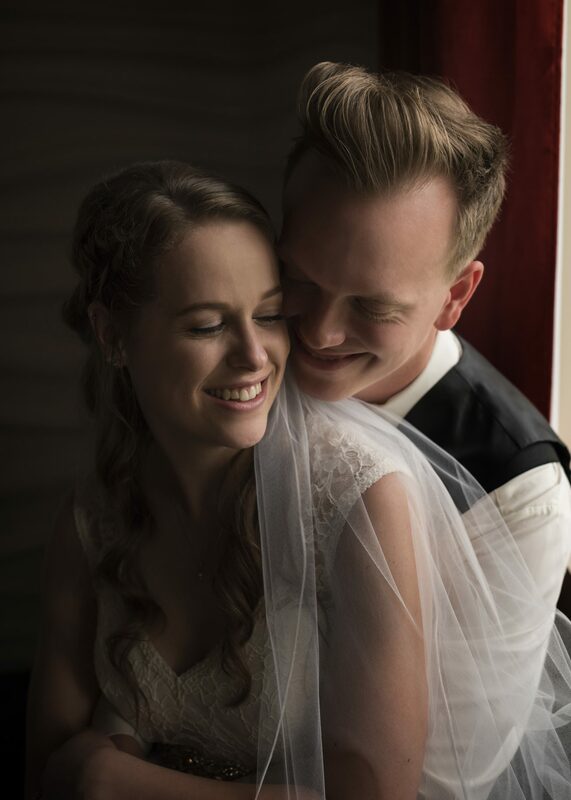 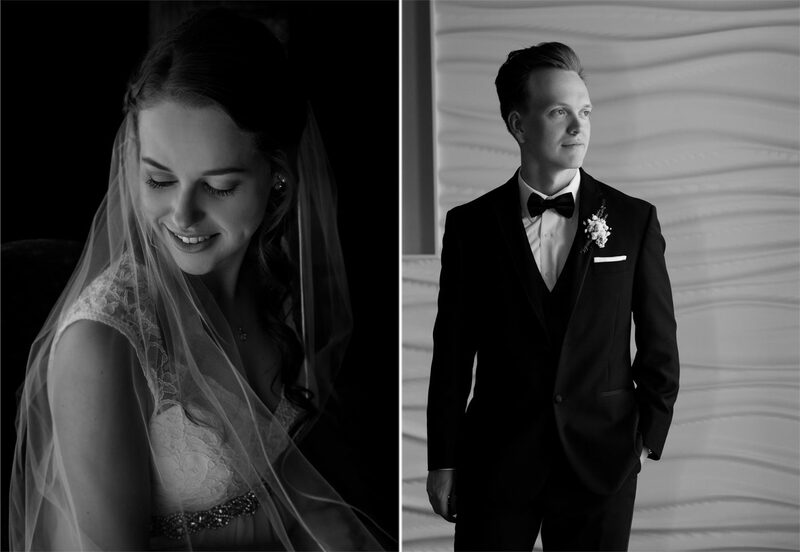 We are so happy to be able to share some of our favourites from the day, and we wish Byron and Justine all of the best as they begin this new chapter of their lives together!